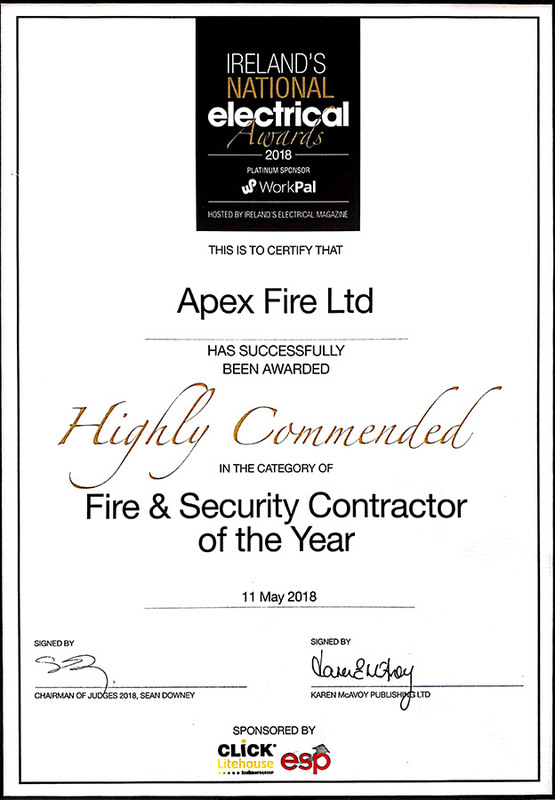 Staff awareness of fire risks and knowledge of how to react to situations are essential Health & Safety elements that should be made available to your employees. Apex Fire can provide a comprehensive training package for your staff. This course equips participants with the information required to extinguish a fire in the workplace. Employers are required to have a number of certified Occupational First Aiders in the workplace to administer first aid as required by the Safety, Health and Welfare at Work Act 2005 and the (General Application) Regulations 2007. The number of First Aiders required is specified in the HSA Guidelines on First Aid at Places of Work. Be able to provide treatment for the purpose of preserving life or minimising the consequences of injury until discharge or the arrival of medical assistance. Equipment will include the use of CPR/AED trainers/models, flipchart and dvd visuals to ensure understanding of all of the above subjects. A written examination is used as a means of assessing a candidate’s ability to recall and apply skills, knowledge and understanding within a set period of time and under clearly specified conditions. Assessment of mastery of specified, organisational and/or interpersonal skills. The skills may be demonstrated in a range of conditions, such as in the learning environment, in a role play exercise, or in a real-life/work situations. Certificates will be issued on successful completion of the course by the course provider and also by Fetac. Staff will have the necessary skills / information to increase their awareness relating to Fire Prevention and how to deal with an emergency situation should it arise. This course covers the role of Fire Warden / Fire Manager within the workplace and will train participants to deal with fire in an emergency situation. We will take attendees on a walk through the floors where they can see first hand how fire doors operate, how fire compartments operate, the location of fire alarm call points, the fire alarm panel, the escape routes and the location of fire safety equipment. We are very aware of the services being carried out in care facilities so these walkabouts would only be done following consultation and always taking into account resident’s privacy and also they would be done in a manner so as not to cause unnecessary alarm to them. We firmly believe that these courses should be as user friendly and site specific as possible so that staff should understand what their role is in the event of an emergency. When organisations are carrying out fire drills we can offer a facility whereby we can be on site when the drill is taking place and have staff placed at strategic locations in the building to assess if the evacuation procedures are being adhered to. We have developed a fire drill assessment form which we complete at the time of the drill. Following the drill we meet with the people responsible for organising the drill and go through our findings with them. We have found this form very helpful as it highlights items which need to be rectified / amended in the evacuation procedures. We forward this report electronically to the relevant person and this can be kept on file and in the fire register. We can assist in drawing up evacuation procedures to be followed in the event of fire or other emergency. These procedures will be drawn up based on site visits and meetings with the safety officer. Once the procedures are agreed we can arrange training with the nominated people within the organisation on the workings of the procedures. This information can then be circulated to all staff prior to the initial fire drill taking place. These workshops are in response to the August 2015 introduction of an updated version of Irish Standard 291, governing Selection, Commissioning, Installation, Inspection, and Maintenance of Portable Fire Extinguishers (PFEs). We are offering third-party accredited (JOIFF) three-day workshops to enable these responsible persons to meet their statutory duties of care. These are the only such third-party accredited (JOIFF) bespoke courses and workshops available in Ireland. Participants will be fully briefed on all relevant statutory requirements, and how to fulfil them. The aim of our courses is to provide participants with a greater awareness and understanding of the threat posed by fire; their personal responsibility in preventing an outbreak of fire where they work and what action should be taken in the event of a fire. All courses mentioned above can be tailored to suit the requirements of the day to day running of your business. Generally courses are run in-house, we offer the facility to hold training courses in our branch offices. Please visit our contact page and fill out the form or LoCall 1850 92­9829 for details.